A spacious, themed room with a deluxe master bath. This lovely room features a wood burning fireplace. The Waypoint House Bed + Breakfast — located in the Shenandoah Valley in the beautiful town of Berryville, Virginia, and just minutes from Winchester, Virginia — offers a historic setting with all the modern conveniences you could wish for. The Waypoint House is also situated just over an hour’s drive from the Nation’s Capital, Washington, D.C. So, whether you are on vacation, business, or just taking an extended break from a hectic schedule, you will find the Waypoint House the perfect place to stay. We are a modern Bed + Breakfast, so get the idea of knick-knack stuffed rooms out of your head. 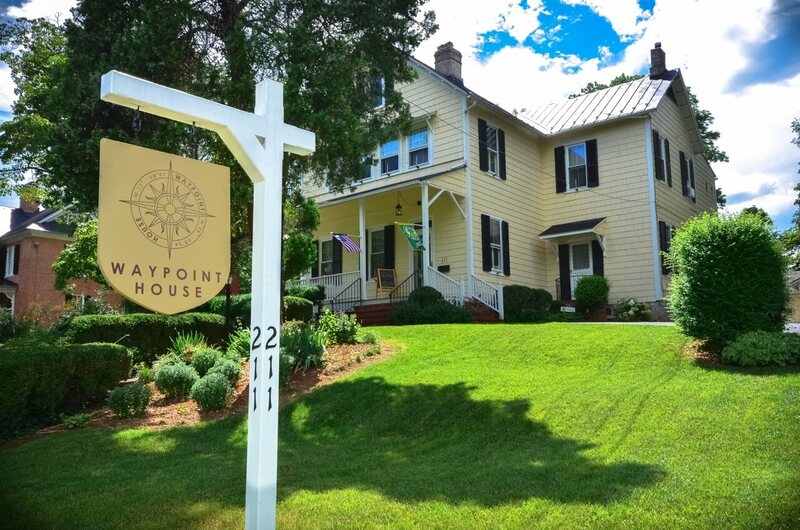 At the Waypoint House you’ll be treated to a clean, comfortable house, a restful night’s sleep and a delicious breakfast each morning of your stay. All the while you’ll have access to free Wi-Fi – especially convenient for those who can’t disconnect without knowing they’re still connected. 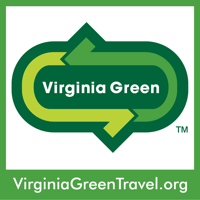 Need a recommendation for a good place to eat or a fun place to visit? Just ask us and we’ll be glad to help! You’ll get one-on-one service here you won’t get at any chain hotel. Your experience is our main concern. If there’s anything we can assist with during your stay please don’t hesitate to ask us—we’re here for you. And not only are we here for you, we’re here for your pet, too. That’s right, Waypoint House is a pet friendly bed and breakfast and we welcome your furry traveling companion (with advance notice). Call us, or view our policy page to learn more. At the Waypoint House our goal is to provide you with a bed and breakfast experience like no other. We intend to challenge the perception that bed and breakfasts are stuffy houses where the furniture creaks and grandma’s lace doilies cover every table. Our home is historic, but we offer modern style and convenience coupled with old-fashioned hospitality. In short, we intend to anticipate our guests’ needs and exceed their expectations in every aspect.